The sales department of a Fortune 500 financial services company implemented a plan to develop a coaching culture. 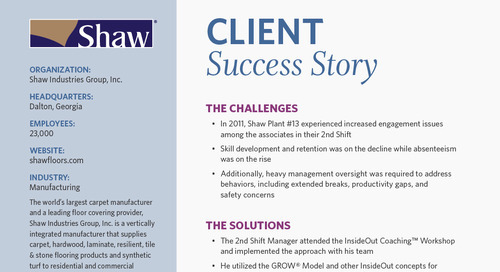 In less than two years, their coaching program reduced turnover by 15% and increased employee engagement by 7%. More amazingly, new written premium (sales) by 16% while a control group saw a 14% decrease in new written premium over the same time. You have a lot to consider when choosing a coaching solution. Start by learning from current customers. 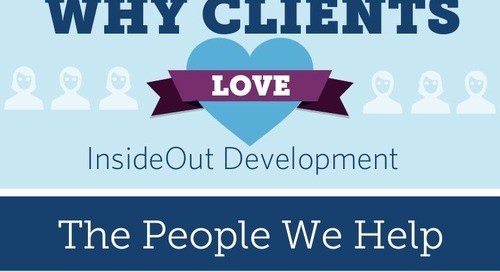 See what clients have to say about InsideOut Development based on a survey of 200 clients. 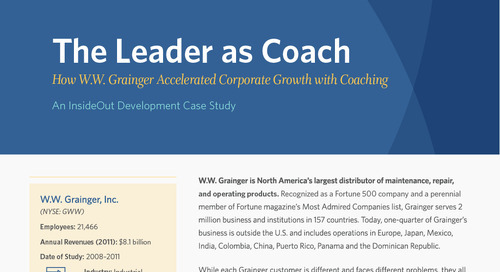 Learn about W.W. Grainger’s 5-part leadership development program to help managers align their teams to company goals and performance drivers. It has a 97% adoption rate. Boehringer Ingelheim developed a culture in which managers increased their coaching skills and more effectively managed employee performance. 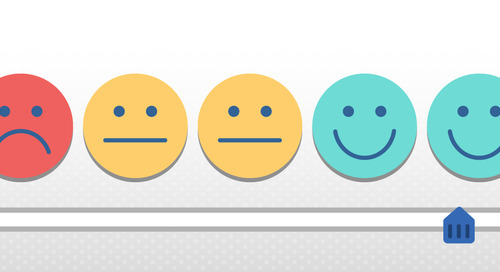 When they did, every employee engagement metric increased. Northern Tool + Equipment is committed to cultivating new leadership from within. The company sought to equip first-time managers with the essentials skills they need to get work done.